WTI crude oil prices are up nearly 7% so far this morning, trading at $48.68 a barrel. The announcement from OPEC isn't official yet, but reports from delegates at the meeting confirm the substantial agreement has been reached. 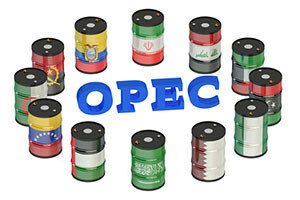 The OPEC agreement will reduce OPEC oil production to 32.5 million barrels a day. That's the number OPEC had originally discussed in September. Russia, the world's second-largest oil producing country, was originally planning to attend the Vienna OPEC meeting but pulled out. Russia is not an OPEC member, but after the Sept. 28 announcement had said it would participate in a production cut. Since then, Russia has said it would merely freeze its output and only if OPEC came to an agreement first. With an OPEC deal in place, Russia now has the ability to strengthen it. While crude oil prices are soaring today, the deal affects more than just oil prices. As Dr. Kent Moors, Money Morning's Global Energy Strategist, said ahead of the November OPEC meeting, "the future of OPEC" is at stake today. OPEC hadn't agreed to an oil production cut since 2008. Crude oil prices hit 10-year lows at the beginning of the year, falling below $35 a barrel. But the cartel couldn't stop the fall of oil prices as infighting within the organization limited attempts to control the oil supply. A failure to get to a deal at this meeting would have been a substantial blow to the organization. If the deal is official, Moors expects oil prices to cross the $50 a barrel line by the end of 2016 and reach $60 a barrel by Q1 2017. If OPEC is able to manage its supply, that would put it back in charge of controlling oil prices. Though OPEC won't be able to raise prices drastically, it will be able to create a price floor for oil and provide stability to the market. As Moors said after the Algiers agreement, "when it comes to securing and raising that floor, OPEC's eventual deal will be highly effective." So, if the deal is confirmed and member states follow through, we can expect to see a more stable oil price above $60 a barrel. However, there are two major obstacles to the deal working. First, the United States and Russia, the world's biggest oil producing countries, still have to weigh in. Russia has not yet confirmed its participation in a production cut, and the new U.S. president has vowed to ramp up domestic oil production. If Russia doesn't participate and the United States produces more oil, OPEC might not be as successful in managing oil prices. Second, OPEC can't force its members to adhere to the agreement. OPEC agreements only work so long as each country recognizes its shared interest in following the agreement. But the negotiations leading up to the OPEC meeting today show that there are major divisions within the cartel. Iran and Iraq were at significant odds throughout the process and both sought exemptions from a production cut. If one were to change its mind later, it's likely the other will, as well, and OPEC would have no ability to directly coerce them back into participation. Between the U.S. presidential election and the OPEC meeting today, a lot is being shaken up in the Middle East. And this is creating uncertainty in energy markets. But we have an insider account on how energy power players across the Middle East are reacting to recent events. Here's how you can cut through the headlines and make money on your energy investments.